How can I move passwords from my old keychain to the one created by the installer when it performed a clean install without a migration of data? I copied my old keychain to ~/Library/Keychains and added it to the keychains list. It works except that I have to unlock it every time I log in. It's rather annoying and I'd much rather have all my passwords and certificates in one keychain. You can then just click the allow button repeatedly without having to type the password every time. Keep the two files separate to start with. Use "Import Items..." from the File Menu and select your previous Keychain file. It will attempt to import all your previous keys, asking for old passwords as necessary. When finished, all your previous data will be in the new login.keychain; your old login.keychain can be thrown away. Not the answer you're looking for? Browse other questions tagged mountain-lion keychain . How can I retrieve passwords from old keychain after a new install? Is it possible to link Private Keys and Certificates across Keychains? How to move Keychain from Snow Leopard to Mountain Lion? New “Local Items” Keychain in Mavericks: What's it all about? What's the password to the System keychain? 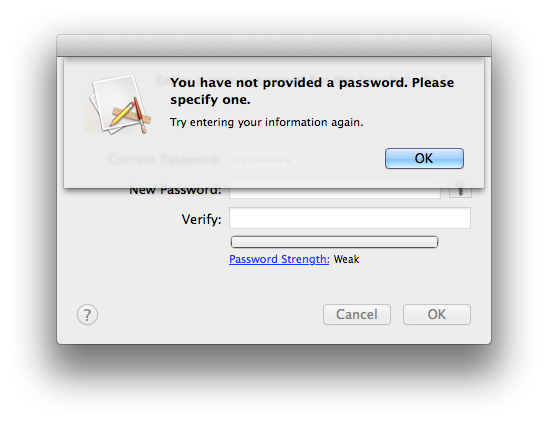 How come Safari tells me “Safari Passwords are locked”? Where does Safari store passwords?